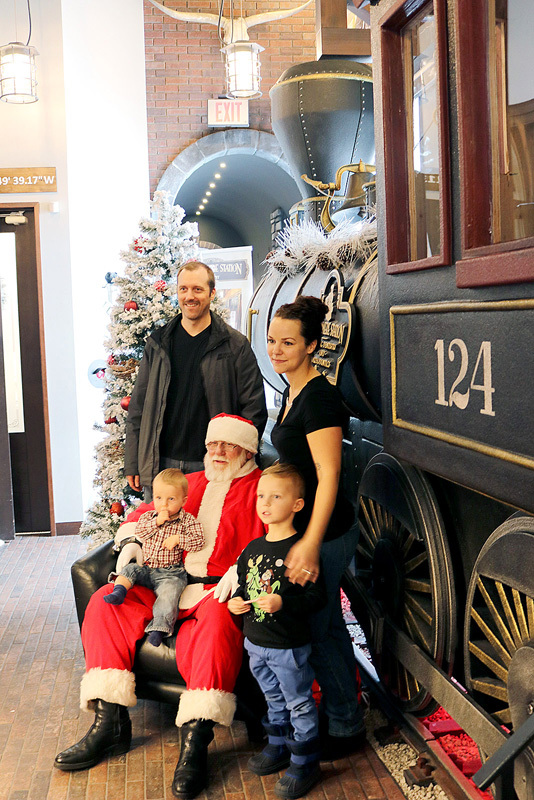 Holiday parties are underway with Chestermere Station Way Pediatric Dentistry and Orthodontics kicking off the celebrations with the third annual Holiday Party with Santa. On Dec. 1 families had the opportunity to get family portraits alongside Santa, go for sleigh rides, warm up with hot chocolate, and then indulge in candy canes and popcorn while watching Charlie Brown. “It’s a nice way to give back to the community,” said Pediatric Dentist and part owner of Chestermere Station Way Pediatric Dentistry and Orthodontics Ethan Zuker. “They’ve been very-very supportive of us, and we want to be supportive of them,” he said. All that families were asked to do was bring a donation for the Chestermere Food Bank or an unopened toy donation for Christmas with Dignity before joining in the celebrations. The Holiday Party with Santa went well, Zuker added, since all of the bugs have been worked out in the previous two years. “Santa’s been great, the kids have been very receptive of him, we got a lot of good feedback,” Zuker said. The primary reason Chestermere Station Way Pediatric Dentistry and Orthodontics wanted to host a Holiday Party with Santa was because of the economic downturn. “This was just a simple way to get everybody into the Christmas spirit, and just a nice way to give, when giving might be a little bit tighter,” Zuker said. The best part of the Holiday Party with Santa for Zuker is seeing the smiles of the kids’ faces. “It’s the joy to see on the kids’ faces, they have a place to go to where they can have fun, and just be kids,” Zuker said. He added, the Holiday Party with Santa wouldn’t have been possible without the support from the community. “We will continue to support the community as much as we can,” he said.